artSMart: HOT POTS AND HOT CROSS BUNS! HOT POTS AND HOT CROSS BUNS! 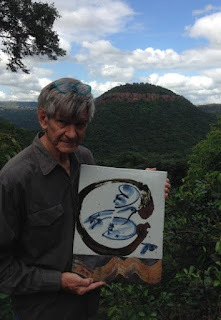 Zulu Zen Potter Andrew Walford Is hosting his Easter Exhibition, Hot Pots And Hot Cross Buns!, from April 19 to 22, 2019, from 10h00 to 17h00. The studio is just 1k past Farmers Market. Unwind in the delightful country setting overlooking Shongweni Dam and Game Reserve (spot the new baby giraffe!) Relax admiring the world class Japanese style ceramics in this unusual studio and home. Tea, coffee, homemade lemonade, and hot cross buns available.